Sionnah has launched their new store in Chennai and i couldn’t be more glad because a lot of my bride to be friends ask me to suggest a one stop trousseau destination. Sionnah is known for its bridal collection and they have such stunning pieces. Every single piece is hand embroidered to perfection. The Sionnah store is a sight of beauty and pure elegance. Their collection is a mix of hues like red,pink,yellow and most of the bright colours that draw our attention. They also have gorgeous clutches, ear rings and other accessories. Their designs are bright,vibrant and extremely versatile. 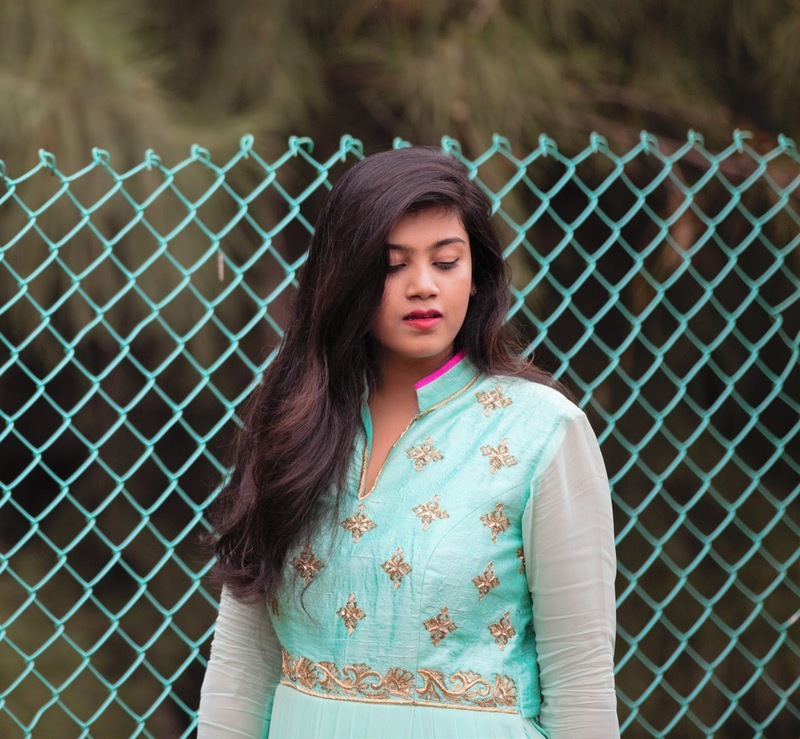 i am going to show you three variations for a bride to be so this post is going to be all about the Sangeeth dress or any other function before the wedding! Well, i am a person who likes to keep it simple, on any given occasion i’d pick a subtle colored dress with minimal work and my choice had to be this nice shaded blue suit. I created this look to give an idea on how to look simple yet chic for your special occasion. You can also pull off the look with a dupatta if you want it to be more traditional. The silhouette is dramatic and creates that perfect vibe. This suit is a perfect mix of modern and traditional and the most comfortable thing to wear. Sionnah has some really interesting pieces for every occasion and you definitely have to check them out.